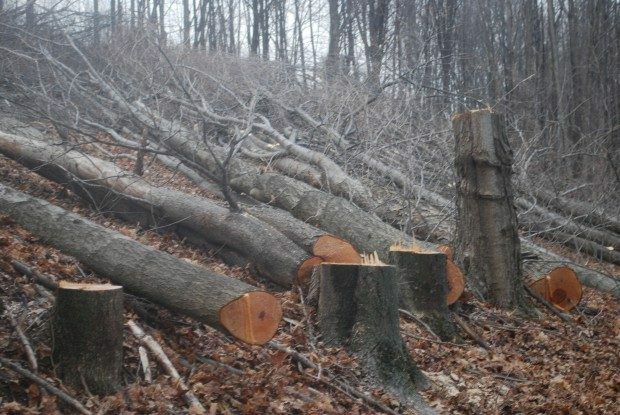 JON HURDLE, Trees cut on a Susquehanna County property in March 2016 to make way for the proposed Constitution Pipeline. The company says it will fight a FERC order upholding New York State's denial of a permit for the project. The builder of the proposed Constitution Pipeline from Pennsylvania to New York said it will ask the Federal Energy Regulatory Commission to take another look at its recent ruling that upholds New York State’s denial of a water-quality permit for the troubled project. Constitution Pipeline said it will seek a rehearing or appeal FERC’s decision on Jan. 11, in which the commission declined to overturn the permit decision by New York State’s Department of Environmental Conservation (DEC). That decision has stopped the company from beginning to build the 124-mile natural gas line.